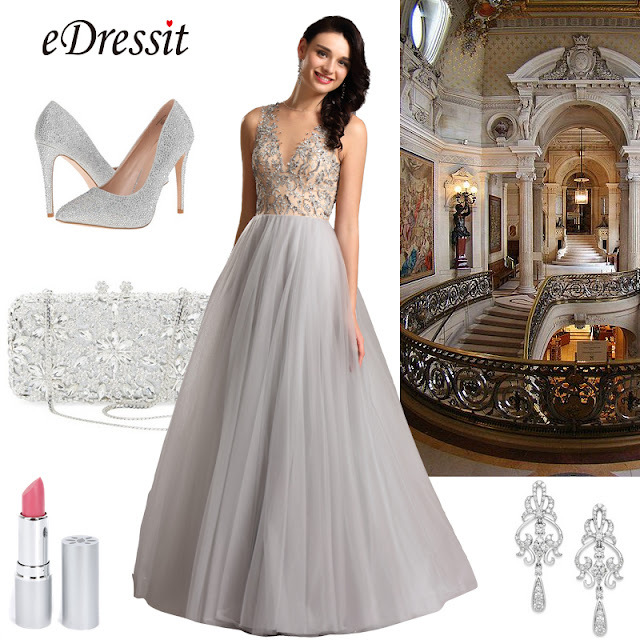 eDressit Fashion Blog: Wanna Look Perfect in the Evening Prom Dress? 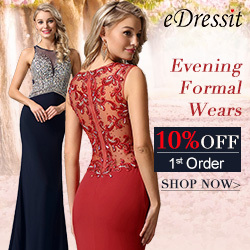 Wanna Look Perfect in the Evening Prom Dress? If you want to keep a large chest in check…. No need to minimize your size—but these tips can help make sure the girls stay in place for the party. Consider strapless evening dresses , mermaid evening dresses , empire waist eveing dresses . 1. Check out some corset style dresses that have built-in structure and support. Look for a gown with a defined waist and boning in the bodice. 3. Get a bra-friendly dress! There are plenty of styles that are fun and flirty but also cover enough of your back to wear a real bra. Stick-ons sound great, but gravity always wins. If you want to give your bust a boost…. Having a small chest doesn't mean your dress can't make a big impression. 1. Look for styles that have sequins or beading at the bust. Shiny embellishments can make your chest appear larger. 2. Direct gazes north of your navel with stripes or patterns that appear to point to the girls. 3. Find yourself a sweetheart—neckline, that is. The heart shape of the bust line accentuates what's beneath. 4. Take the plunge! When you want all eyes on you, nothing beats a super low neckline. If you want to whittle your middle…. Not everyone's an hourglass. Fortunately, the right shape can define your waist. 1. A-lines are always forgiving if your aim is to minimize your middle. Their classic silhouette and tummy-obscuring layers of tulle mean Chipotle isn’t out of the question for an after-party snack. 2. Go smooth with ruching. Lumps and bumps can virtually disappear under a few strategically placed wrinkles. 3. Emphasize your waist with an embellishment that cinches you in. And remember that adding a belt can work wonders for defining your curves. 4. Think big! Outrageous elements like peplum, color blocking, and patterns can be bold enough to camouflage a less than taut tummy. 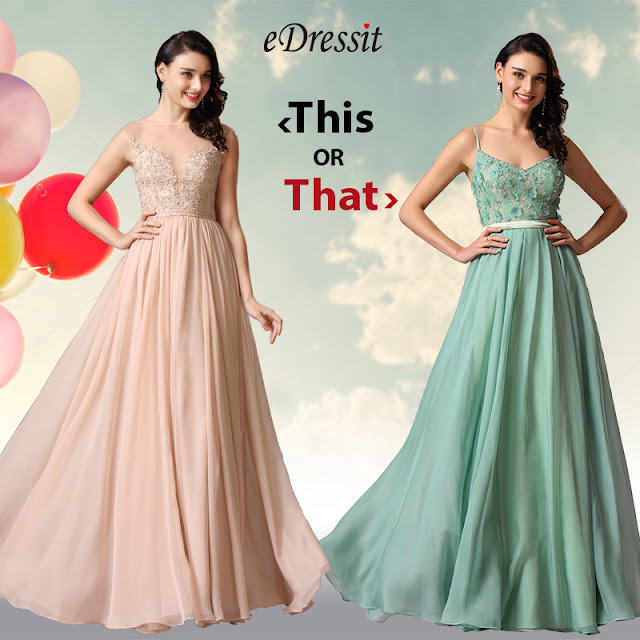 So, learn to choose right prom dress to balance your body and show assets. Graduation Party On, Select Your Dress!